The Bulldog machine is a roll fed die cutting press used mainly for inmold label, yogurt lid, wine label, and beer label production. The die cutting technique used provides high precision cutting with perfect edge quality. 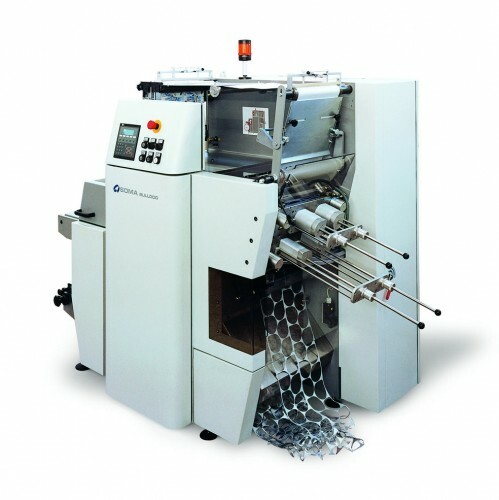 The die cutting tool consists of multiple dies which enable the punching out of several labels per stroke. Complex shapes of lids are possible. The lifetime of the die cutting tool is extremely long.